I'm Captain Danny Woodke. 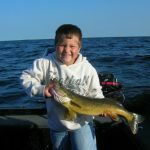 I have been walleye fishing my entire life, tournament fishing and guiding for over 15 years. 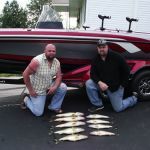 Join me for the best walleye fishing Wisconsin has to offer. 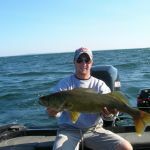 My fishing knowledge and experience as well as my desire to teach anglers how to successfully catch walleyes, makes me the one for your fishing expectations. 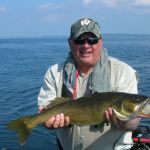 Captain DannyWoodke offers guided walleye trips on the Bay Of Green Bay, Door County, Lake Winnebago & the Wolf River. Captain Danny Woodke is a licensed United States States Coast Guard Captain, a licensed Guide and is certified in CPR and First Aid. 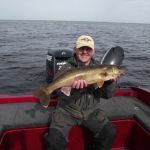 The goal of Walleye Patrol Guide Service is to provide the safest, most enjoyable and educational fishing trip. 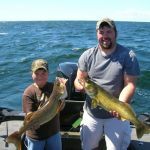 If you are looking to become more educated in walleye fishing or just want a relaxing day on the water catching big walleyes. You found the perfect answer for all your fishing guide needs. A $100.00 Deposit Is Required To Hold & Confirm A Fishing Date. Fish from a 2012 Ranger 620, Powered by a 250 hp Evinrude, equiped with top of the line Lowrance fish finders and GPS units making for a comfortable safe trip. Everything is included: rods, reels, tackle and bait.